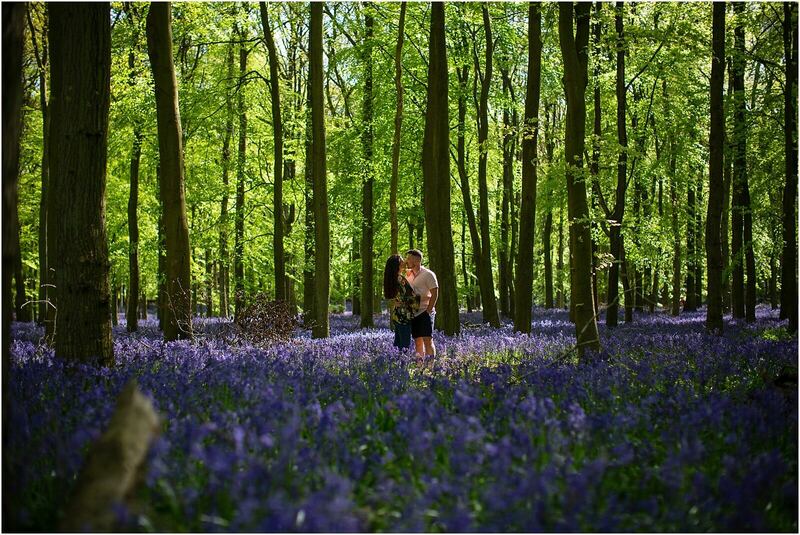 Claudia and Terry’s Hertfordshire engagement shoot was a spring dream come true. 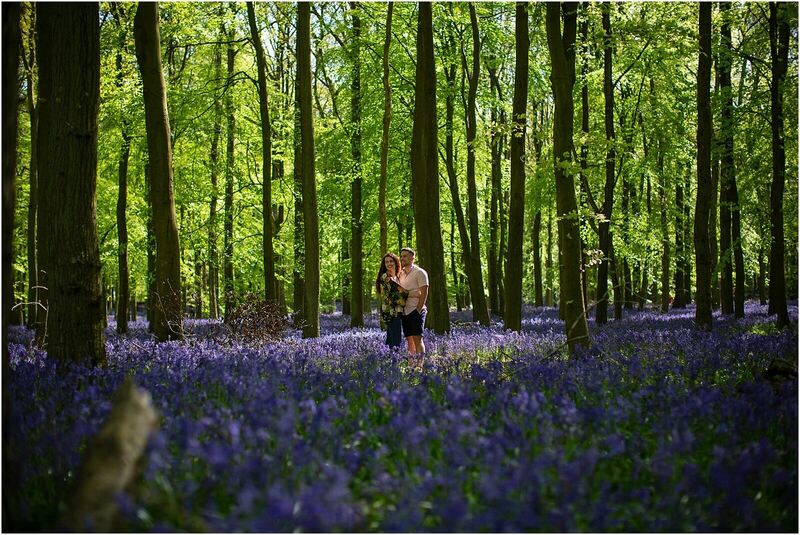 Who would of guessed that this gem of a location existed in the heart of Hertfordshire? 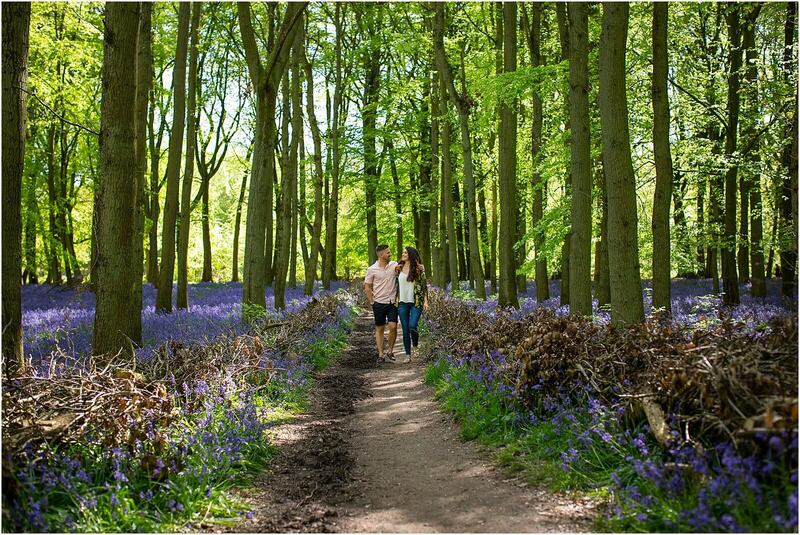 Dockley woods is one of the most popular places to see such a dense oray of bluebells in the country, these woods really are a gift of colour, woodland and peacefulness. This is a small selection of photographs, but ones I really love. 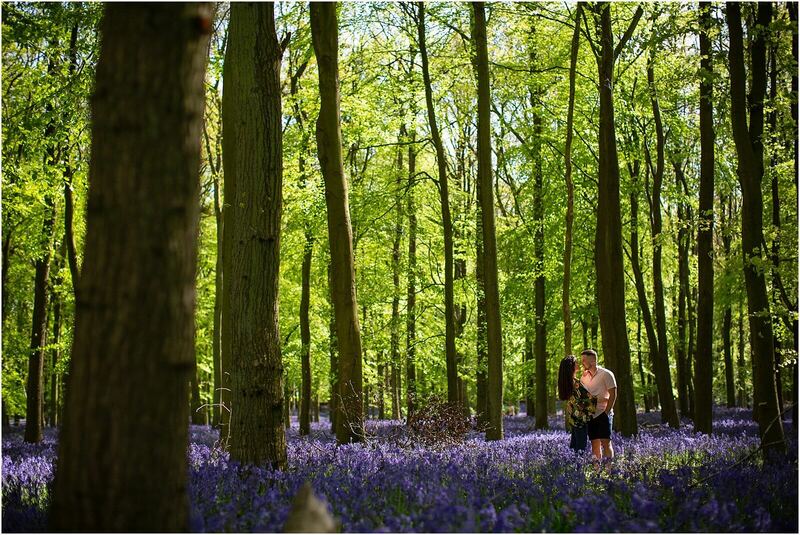 Seeing such amazing colours always reminds me of these bluebells and I am yet to see a better spot for such beauty for a Hertfordshire engagement shoot. It was a gorgeous hot sunny spring Sunday afternoon with the sunshine beating through the forest canopy. The park was closing but we managed to talk the national trust steward to lets us in for some photos as long as we where quick. So with time against us we quickly did a big loop around this beautiful setting, with the colours from the bluebells popping around every corner. I get a lot of my couples ask ” is a engagement shoot really necessary” to which I reply of course! This is a chance for just the three of us to go for a walk in a location of your choice and allow you both to get comfortable around me and the scary camera. Everyone who I have photographed have always complimented me on the time we have together which I hold close to my heart as for me it’s all about connections and a couple in love is the biggest connection you will find and this is a pleasure to capture.My shoots have no limits to how many photos I take, there simply a chance to get some great photographs with whoever you want, wherever you want. 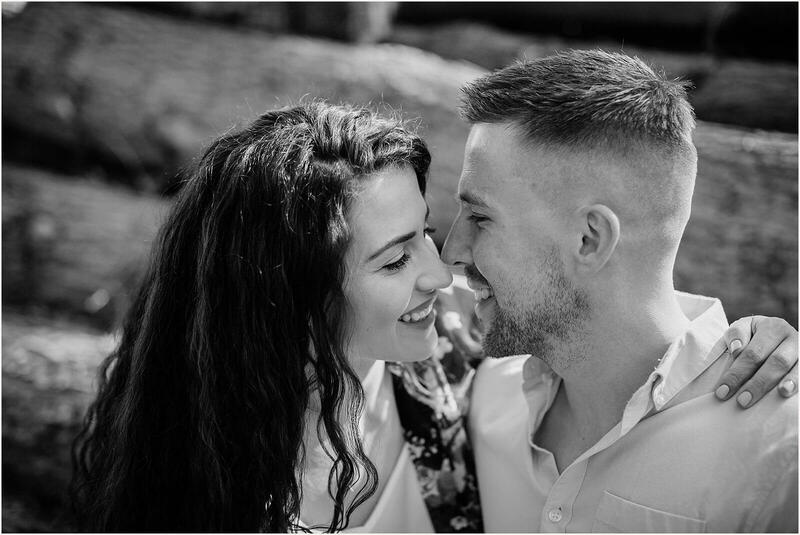 I often tell my couple to think of a photo of what they would like to be framed on the wall and we can go create that photo. 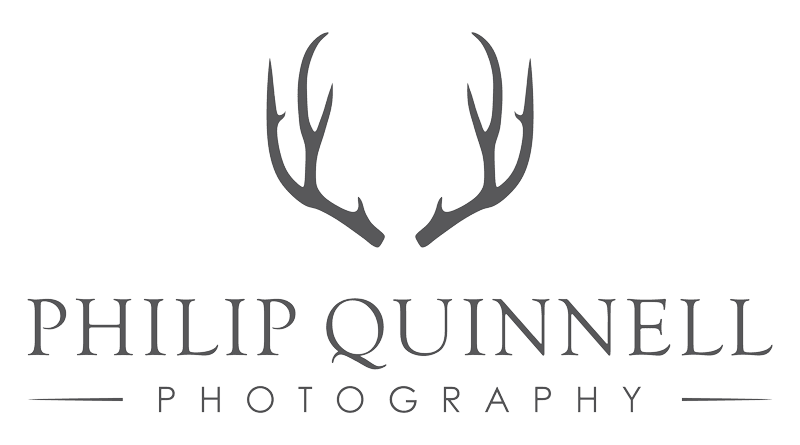 These shoots can be arranged separate to your wedding day or if you just wanted some photos of your partner and your not engaged. 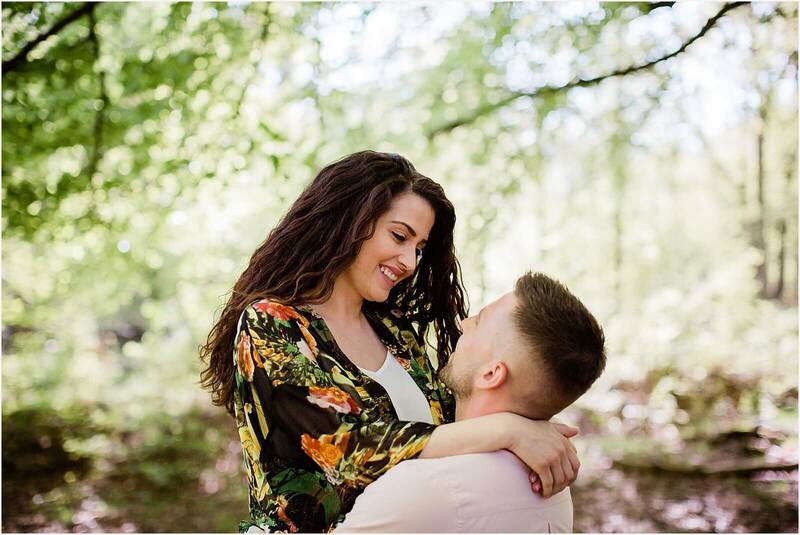 They are a wonderful opportunity to have some fun and get some stunning photographs in a relaxed comfortable environment. So if you are interested in a similar shoot, get in touch! Bring the kids, the grandparents or the dogs?!  I have availability over the next couple of months as we head towards the wedding season. Memories like these also make great presents for friends and family, why not treat a loved one or surpise the other half. 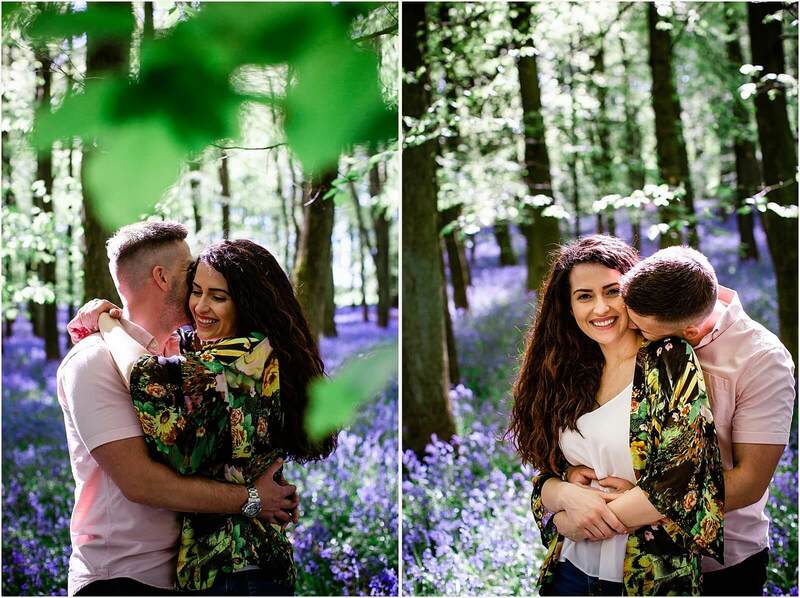 Here’s a link to another spring engagement shoot I captured near the coast of Eastbourne, a similar gorgeous sunny day. What a stunning venue for any pictures to capture that special moment. Would strongly advise any couple to consider this setting. I live near these woods and it was the first time I had visited, what a spectacular vision, a sea of bluebells, the colours were amazing. You can’t miss this!